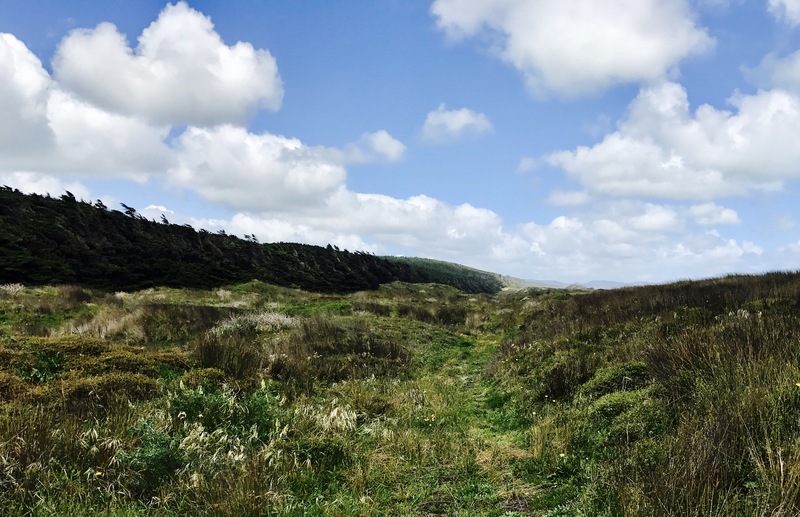 Day 4 – Utea Camp to Ahipara – 100 km! Today we crossed the 100 km line into Ahipara, meaning we finished 90 Mile Beach. No more sand! At least for a while. We slept in a bit this morning in our warm Utea Park beds and headed to the kitchen for a leisurely breakfast at around 7:00 AM. Having a bed last night was pretty essential. Sandwiched between 70 K of walking and one final 32 K stretch, a real mattress was a godsend for our knees and ankles, on which the beach is quite unforgiving. Getting to Ahipara on our 3rd full travel day meant arriving a full day ahead of schedule, making our planned zero day tomorrow all the more exciting. After saying a temporary goodbye to some fellow thru-hikers we met at Utea Park, including our new French friends Annabelle and Greg, we set off down back over the sand dunes, into the ripping wind and rain of 90 mile. 90 mile beach is more mentally challenging than physically. It seems like all you see for several days are endless sand and washed up man-o-war jellies. At around 12:30 PM we decided to take our lunch break. We hopped over the dunes and came upon the grassy entry to the Aopouri forest, the perfect lunch site. Who knew that just over the hill from the land of ripping wind and sand were rolling hills and flowers? You’re not meant to free camp in the forest as it is protected Maori land, but we did take about an hour to eat lunch on its edge. We walked about 18 km before lunch, so it was a welcome break. After recharging in the grass, we hopped the dune again back onto 90 mile and kept going. Ahipara in the distance was coming closer into view, and the dunes to our east were collecting more flowers and grass. Soon we turned into Ahipara, past swimming and dirtbiking children, up onto the road that took us through the gorgeous town to our hostel at around 4:00 PM. Soon we saw our french pals and the few others we met at Utea Park arrived safely as well. 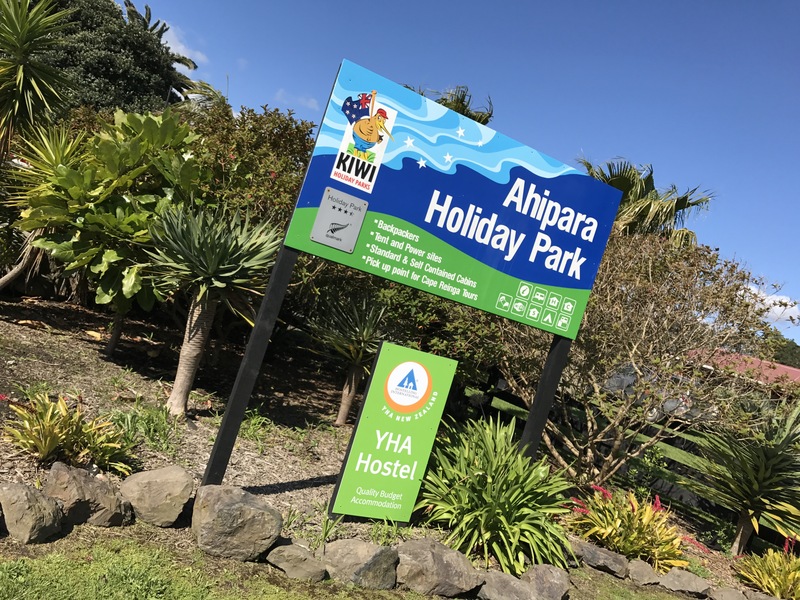 The Ahipara Holiday Park, partnered with YHA, is a beautiful collection of small huts and tent sites with WiFi, hot showers, and a full kitchen. We are sleeping in a sweet tent site with access to all the services for $12.50 pp thanks to our membership + low carbon discount. After setting up camp and showering to rid ourselves of 90 mile beach’s all-permeating sand, Sam and I went out to get groceries for dinner. It was getting late so we decided to buy some ready-made food from a Takeaway shack called Bidz, where we got cheeseburgers, fries, fresh fish, and potato fritters. Today was a perfect farewell to 90 mile beach, stage one of the Te Araroa toll road. Tomorrow we take a rest day here in beautiful Ahipara, and then we’ll gear up again to tackle stage two, The Northland Forests. Enjoy your zero day. Next comes the Northland forests. They are more jungle swamp than forest at present. Be prepared for the mud fest. Cheers for the posts, I’m a kiwi who was born a 4th generation Stewart Islander. My Mum & Dad moved the family up to Russel in the Bay of Islands in the late 50’s. Over the years through high school & into my early 20s I spent many months commercial crayfishing off Cape Reinga with my father, & for much of it with my older brother also. 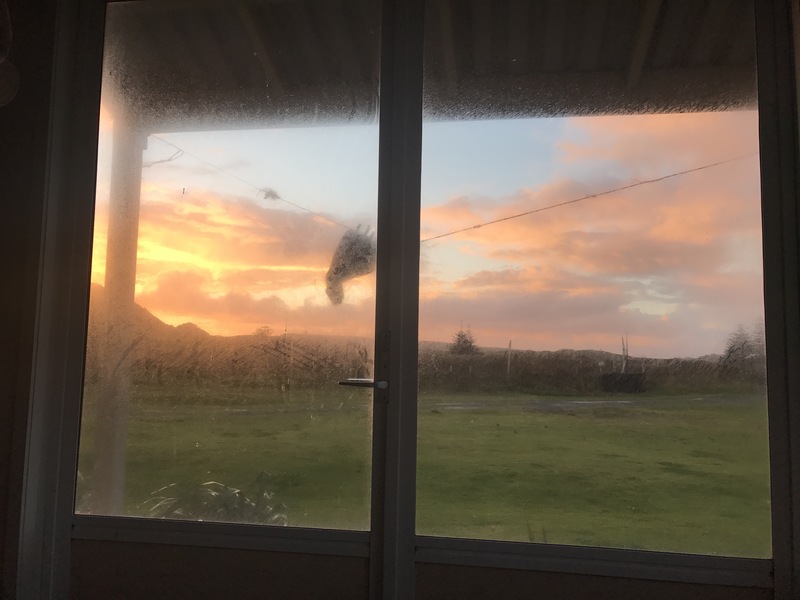 Many moons later, after about a year of running it through my thought processes, about 6 months ago & having known of the trail for about 2 years, I decided I will walk from the TA from Cape Reinga to Bluff & then do tracks on Stewart island, where I will also get to see my extended family. This will be almost like a signature to my life. I have also recently decided will carry a small plastic vial of both my Dad & my brother, in the form of their ashes! This is to reconnect the memory & spirit of them journey also. Reading your blog is adding fuel to the building sense of commitment & desire, that I am feeling toward this proposed gig. All the best to you guys. I’ll be checking in for more insight, info & inspiration! Many thanks for sharing you journeies. Thanks so much for this comment Bruce. We are so happy you’re finding fuel in our posts. What a beautiful gift you will be giving to your father and brother. Please keep us updated with your process. I’m very excited to follow your blog! 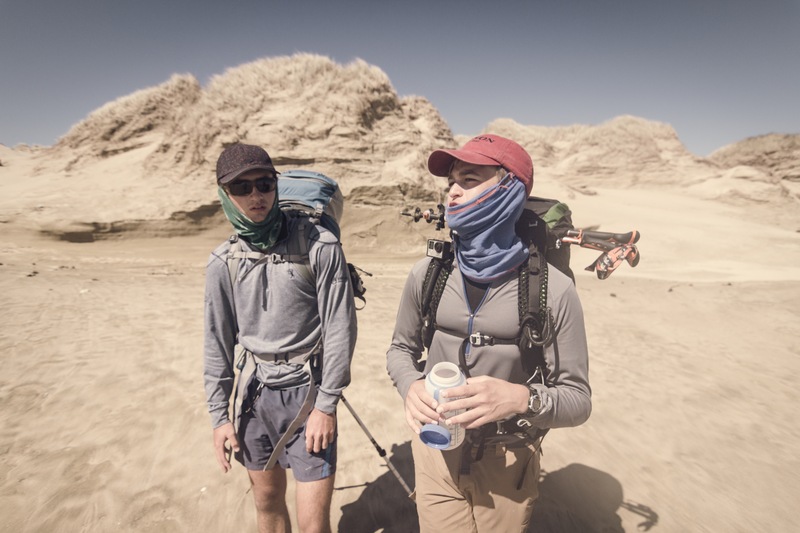 My husband and I walked Te Araroa in 2014-15. It is tough, but the exposure to Kiwi culture and scenery makes it all worth it. Hope the forests were kind to you, but I am pretty certain they were not; they never are! Happy hiking!